Koraku-en is a garden located in Okayama City, Okayama Prefecture (refer to #140). 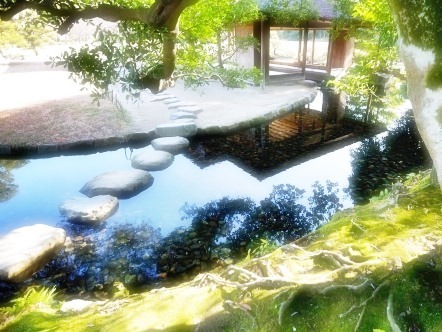 It is regarded as one of the Three Great Gardens of Japan, along with Kenroku-en (refer to #220) in Ishikawa Prefecture and Kairaku-en in Ibaraki Prefecture (refer to #137). It was originally laid out in the 17th century by the lord of Okayama and has been open to the public since the 19th century. 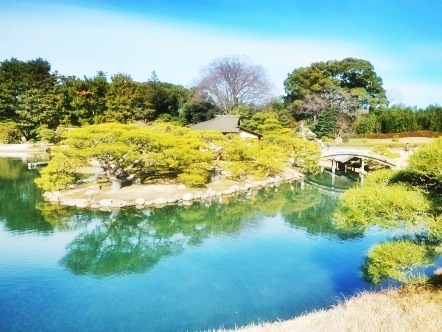 After being completely destroyed by the air raid during World War II, the garden has been gradually restored to its original condition.